Over one million printing options at fixed low prices. Business cards, flyers, leaflets, brochures, stationery and more. Our printing is high-definition meaning that the images are always super sharp and text crystal clear. Almost 100% of our orders are despatched on time or early. We promise we won’t let you down. If we do, it’s free. Most of our products are printed and delivered in 3 working days. If you’re in a rush we can print within 24 hours. Welcome to Nettl of Altrincham. We are your local Altrincham printers and we are you’re secret weapon. We love to print but we also love to design and we also love to web. Think of us as your very own marketing department. Printing is still a massive part of promoting any businesses so it’s important that you get it right. We have been helping lots of Altrincham businesses for years and we’d love to help you too. 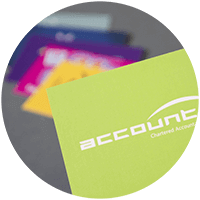 Whether it’s business cards, leaflets, flyers or stationery you need, we do it all. With over one million printing options all at low, fixed prices there is no better place to come for your Altrincham printing needs. A business ‘must have’. Get them matt laminated or add spot gloss for something stand out that will impress. Present your documents to clients in style with a beautifully laminated folder or add spot gloss to really ‘wow’ them. 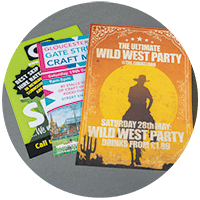 Available in a variety of finishes including gloss and silk, leaflets are perfect for everything from invites to menus. Every business needs letterheads and compliment slips. Available on corporate paper or something a little fancier too. Full of helpful marketing tips and ideas for your business this book contains the latest trends that our clients are using to win business day in, day out. Want a copy? 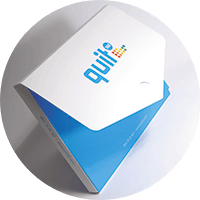 Click below to let us know and we’ll get one in the post to you. We don’t just print, we design too! Our team of skilled graphic designers can help take your business to the next level. If you don’t invest in good design you run the risk of harming your business. Think about it, if you throw together a design in Microsoft Word and your competitor sends out a beautiful, professional looking flyer, who will your potential clients choose? Our graphic design fees are affordable to everyone so make sure you’re not turning your customers away with bad design. We all love a good deal, right? Good. Because we have reduced the price of some of our core range. 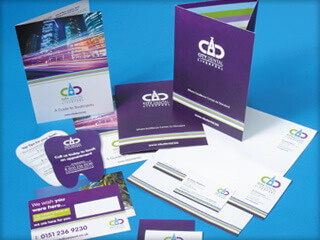 So that’s business cards, leaflets, flyers and stationery such as letterheads and compliment slips. 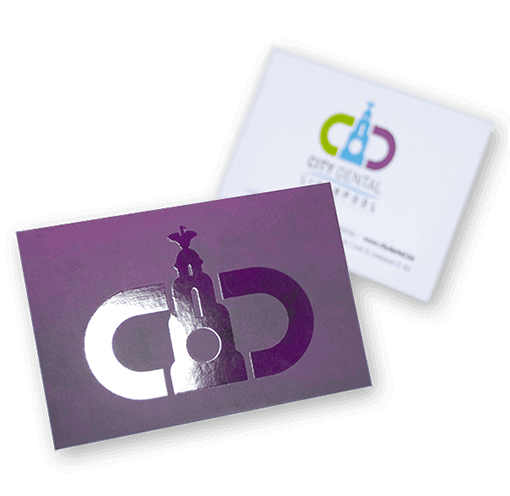 One of the biggest reductions has been with our spot gloss business cards which are matt laminated cards with spot gloss highlights. They are a real head turner and a real winner with lots of customers. They help you stand out from the crowd and are always a good conversation starter when you give them to a potential client.